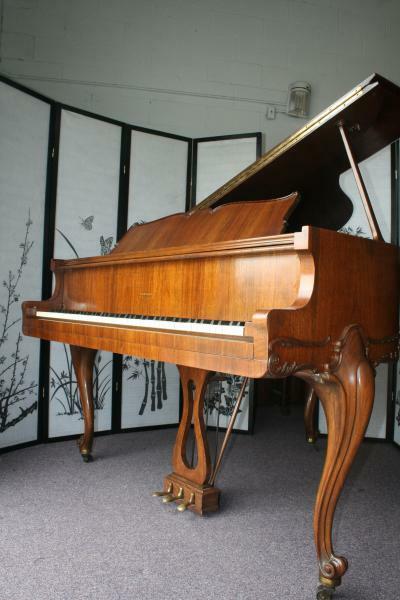 Pretty Harrington Art Case King Louis XV Style Baby Grand Piano, refurbished, action regulated, case received a French Polish all work completed May 2012. Original ivory keys, all excellent condition original parts. Hand crafted American piano. Warranty. Free Long Island/NYC delivery. All else continental USA only $475. Questions? Call Soonny Direct at 631 475-8046. 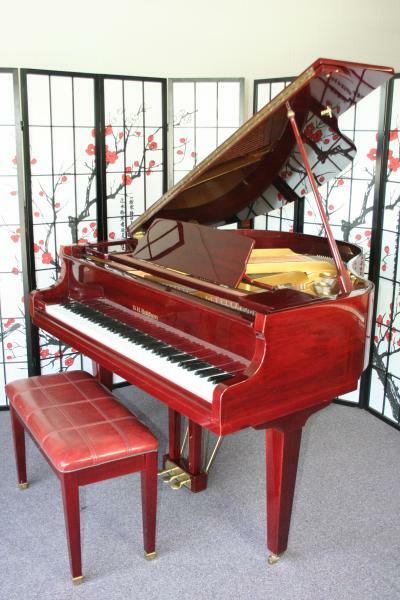 Wurlitzer Baby Grand Piano (VIDEO) Red Mahogany 4’8″ 1998 $3500. 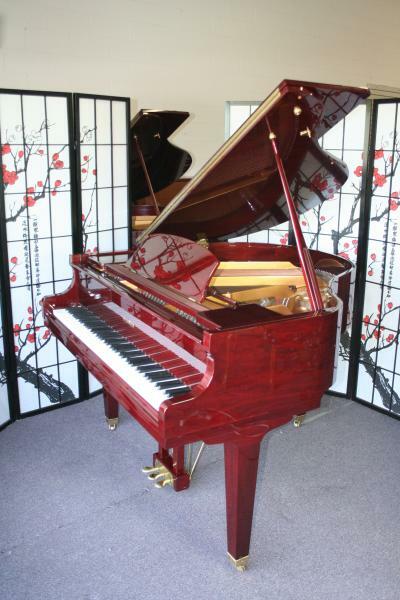 Very pretty 4’8″ red mahogany baby grand piano. Wurlitzer made by Samick. very little mileage, served as a furniture piece for one previous owner. Our furniture people went over it buffing out any scratches or nicks while our technicians pulled out the action and regulated each note to make it a smooth playing instrument. Warranty Free LI/NYC delivery. All else continental USA only $475. Questions? Call Sonny Direct at 631 475-8046. 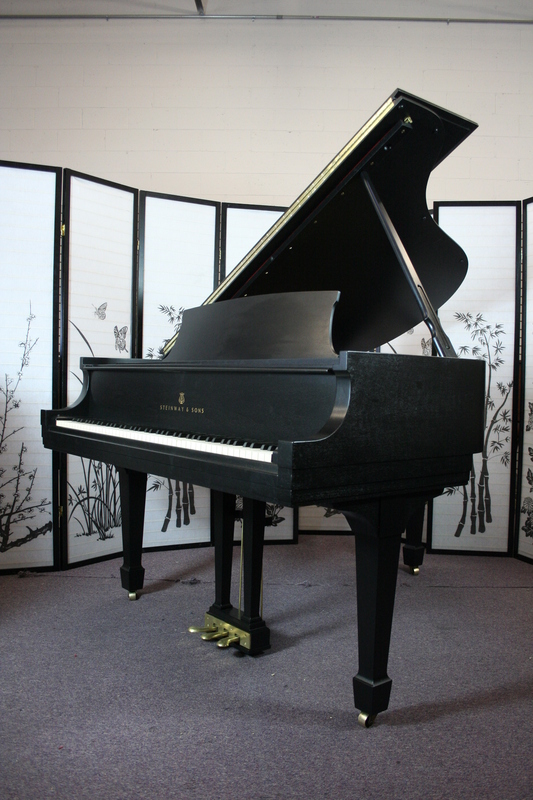 Yamaha Grand Piano G2, Ebony Gloss, excellent condition inside and out. Low mileage, piano was privately owned. Case just buffed, action just regulated and voiced. Classic Yamaha rich, clear, crisp tone, responsive action. Great for a recording studio, performance space or in your living room. Warranty. Free Long Island/NYC delivery. All else continental USA only $475. Questions? Call Sonny Direct 631 475-8046. 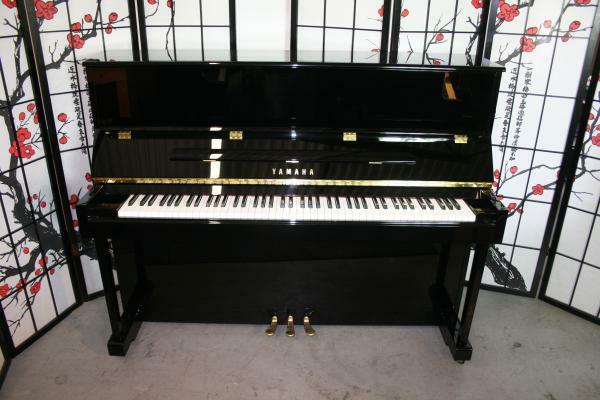 Yamaha Piano Studio Upright/Console 48′ (NEW VIDEO)Ebony Gloss Pristine 2007 $2950. Yamaha Studio Upright 48″, 2007. Pristine, like new, showroom condition. One private owner. Ebony Gloss. Low mileage. Classic Yamaha rich, clear, crisp tone and even, consistent action response. Free Long Island/NYC Delivery. Warranty. Questions? Call Sonny direct at 631 475-8046. 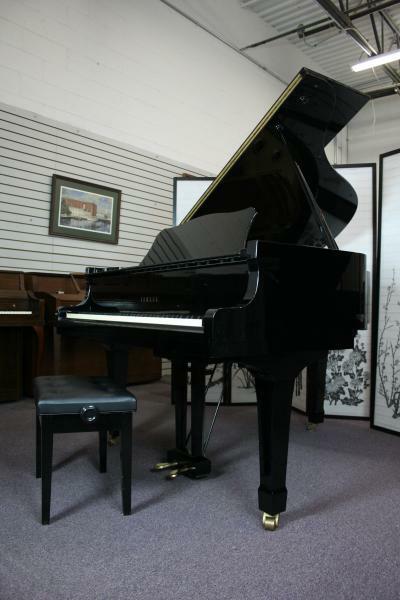 Steinway Grand Piano Model M (NEW VIDEO) Just Refinishe/Refurbished May 2012 Ebony $13,500. 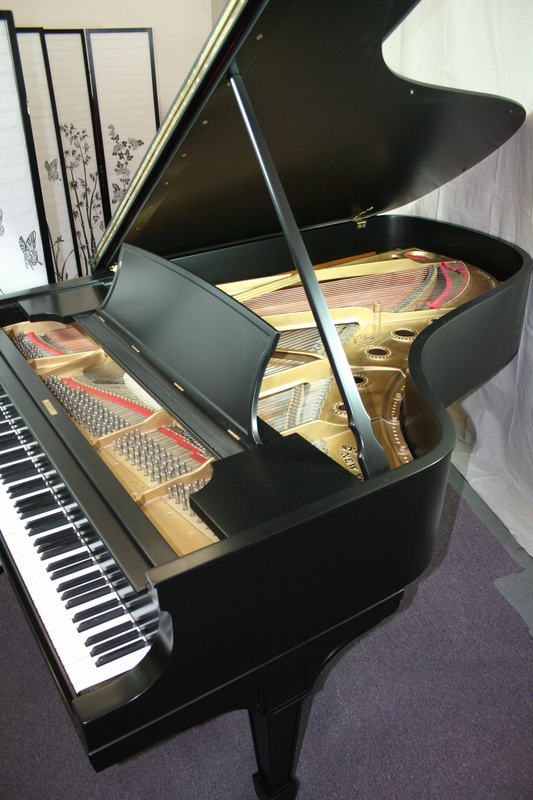 Steinway Grand Piano Model M Just Refinishe/Refurbished May 2012 Ebony $13.500. Magnificent Steinway Grand “The Model B” simply the quintessential grand piano. Manufactured during the heyday of Steinway Pianos 1934. Refinished April 2012, just regulated and restored. 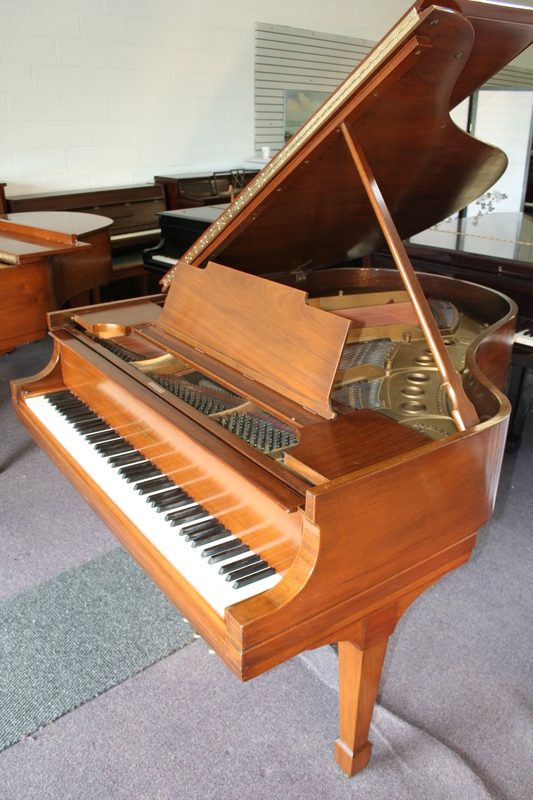 Rebuilt around 15 years ago with new Steinway Hammers and shanks,knuckles, flanges, strings, pins, dampers, All else excellent condition original Steinway parts. A piano for the ages. A keeper and lifetime piano. Very special. Rich, sublime classic Steinway B tone. Free Long Island/NYC delivery all else continental USA only $475. Questions? Call Sonny Direct 631 475-8046. 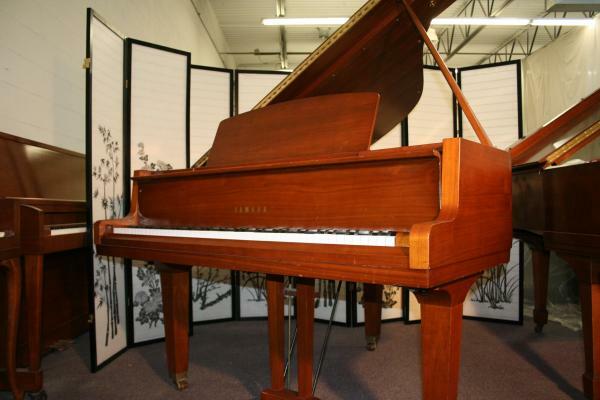 D.H. Baldwin Baby Grand Piano made by Samick Piano Company distributed by the Baldwin Piano Company. This one is about 15 y/o. Sweet sounding, pretty baby grand piano. 4’7″, high gloss cherry mahogany. Comes with a warranty. Free LI/NYC delivery. All else continental USA only $475. Questions? Call Sonny Direct at 631 475-8046. Yamaha G1 5’3″ Walnut, low mileage, snappy action, robust tone, new keytops, new French Polish Finish just applied, action just regulated. Built in Japan 1974, refurbished and restored May 2012. Warranty. Free LI/NYC delivery. All else continental USA. Questions? Call Sonny Direct 631 475-8046.